Do you know how they call Santa Claus in Finland? What is the main dish on the Czech Christmas table? Where is located the world’s largest floating Christmas tree? What animal transports Santa Claus in Australia? You will find out all this and much more in “Travel Mosaics 6: Christmas Around the World”! Join the Walker animal family during their Christmas tour around the globe. Play and learn a lot of curious facts while answering tricky quiz questions and collecting gold coins and souvenirs. 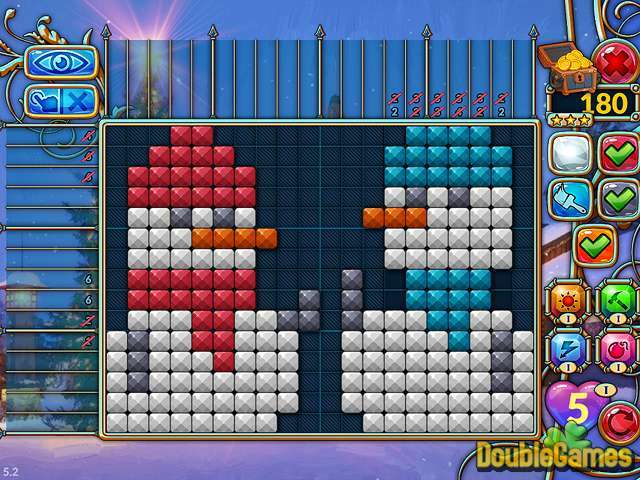 The game includes 140 “nonogram” puzzles (also known as Picross or Griddlers). 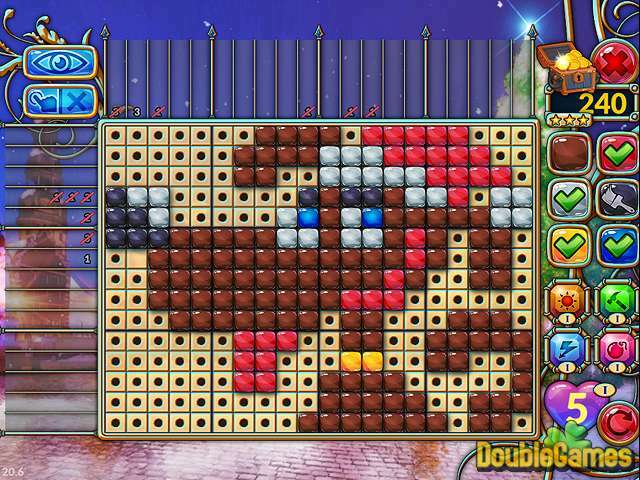 However, compared to the classic nonograms, the “Travel Mosaics” puzzles are color-coded. In addition, the patient and attentive players will get the access to 20 additional levels of puzzles. “Travel Mosaics 6: Christmas Around the World” is an amazing brain-jogging for everybody who wants enter the spirit of Christmas, learn something new about Christmas traditions worldwide, or just spend a nice time! 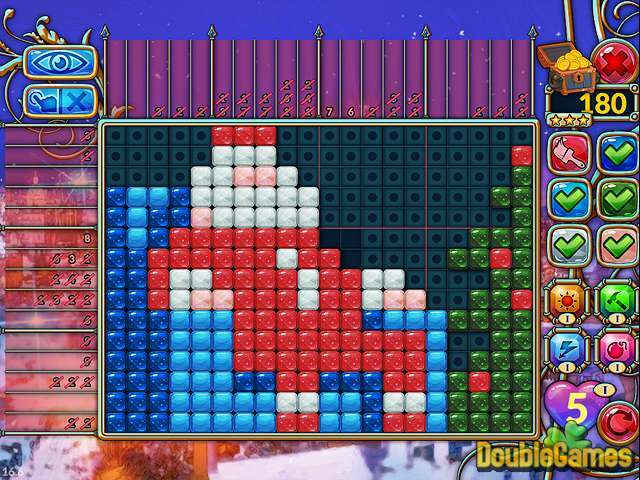 Title - Travel Mosaics 6: Christmas Around The World Game Download for PC and Mac Description - Become acquainted with Travel Mosaics 6: Christmas Around The World, a Puzzle game devised by JetDogs. Do you know about the main dish on Czech Christmas tables or where the world’s largest floating Christmas tree is located?